BRANDON – A play written by Brandon University (BU) Professor James Forsythe was publicly performed for the first time recently in Montreal. 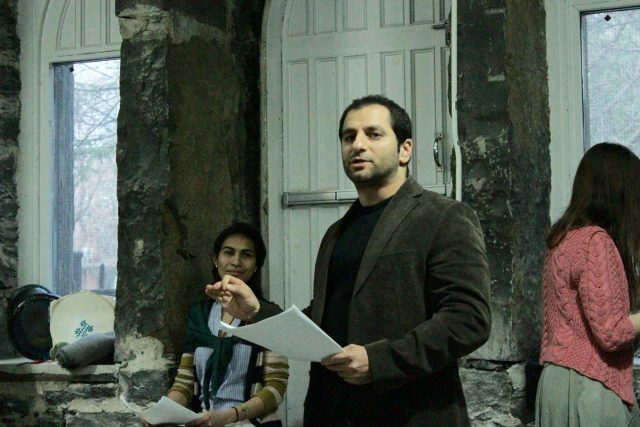 To Stand Again tells the story of Syrian families in Canada in their own words. Forsythe interviewed newly arrived families in Brandon and Montreal over the summer and fall of 2017. Forsythe transcribed the interviews and used them as the basis for the play. “Although I edited the interviews and turned them into a coherent script, all the words in the play came directly from the people who I interviewed,” said Forsythe, who is the Co-ordinator of BU’s Drama program. 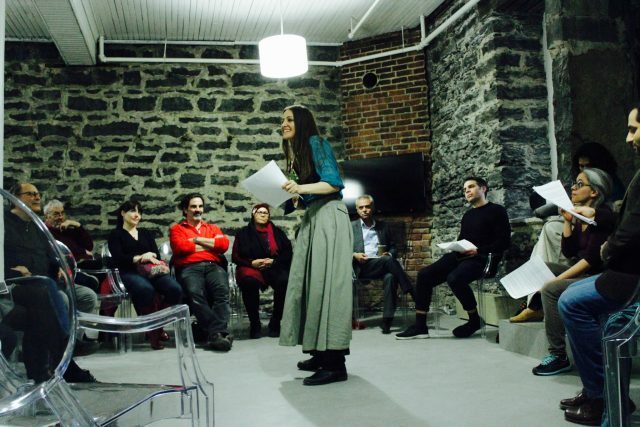 Teesri Duniya Theatre in Montreal held a workshop last week where director Liz Valdez and four professional actors rehearsed the play and provided feedback. Based on their advice, Forsythe re-edited the play a number of times until it was ready for a public performance on Saturday, April 28, followed by a talk back. The audience included Syrians who had been interviewed by Forsythe. “The play was very well received, and by the evidence of the tears in the audience it was quite moving,” said Forsythe. Valdez and Forsythe will continue working on the play with the goal of bringing it to full production.